This only has to do with Hollywood Studios in Florida, not the Disneyland resort in California..
^I was puzzled about that, too. ^So shall it written, so shall it be done! Hey guys, hopefully quick question. I'm going to my first ever Star Wars weekends tomorrow. I'm hoping to pick up the limited pin sets and other stuff. Is the best plan getting to the park at open and rushing to the Darth Mall or is there a better plan? Also, the Mall is back by the back lot tour, right? EDIT: I guess that Darth's Mall has been moved to Soundstage 1, which is between Toy Story and Studio Back-Lot Tour. In previous years it had been by Rock 'n Roller. Anyone have insight as to reason why, or is the space just bigger, therefore allowing the selling of more stuff? Not 100% with regard to the limited stuff, but I don't think that's going to be an issue. Just got a Disney Annual Passholder email advertising a special hard ticket event at Disney's Hollywood Studios. 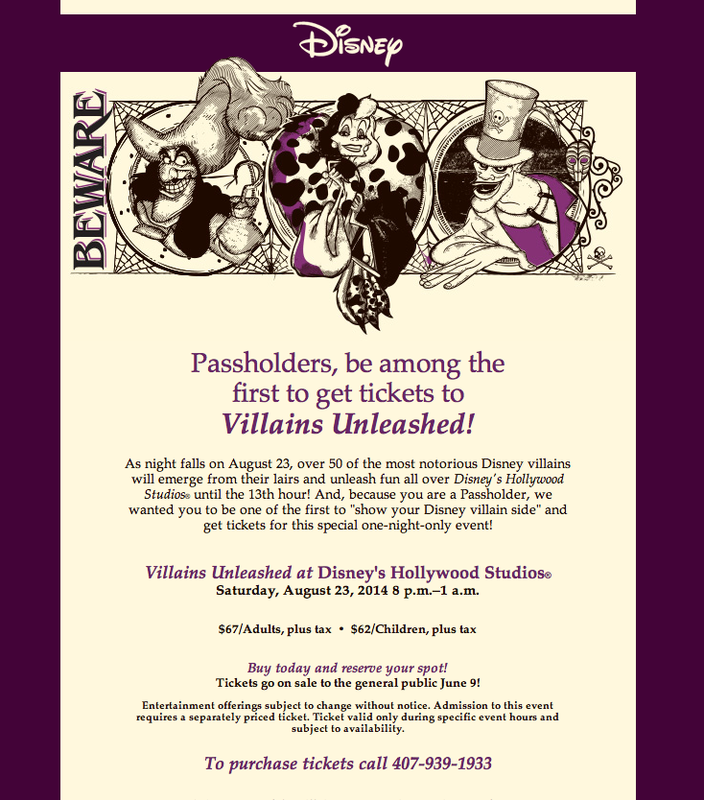 "Unleash The Villains" August 23rd, 8pm-1am. See below for the events offerings. I'm thinking by making this a hard ticket event it should make crowd controls a lot better than last year's limited time magic Friday the 13th event that was included with the daytime admission. Passholders and DVC members can pre-order tickets by calling 407-939-1933. Tickets go on sale to the general public June 9th. "As night falls on August 23, over 50 of the most notorious Disney villains will emerge from their lairs and unleash fun all over Disney's Hollywood Studios® until the 13th hour! 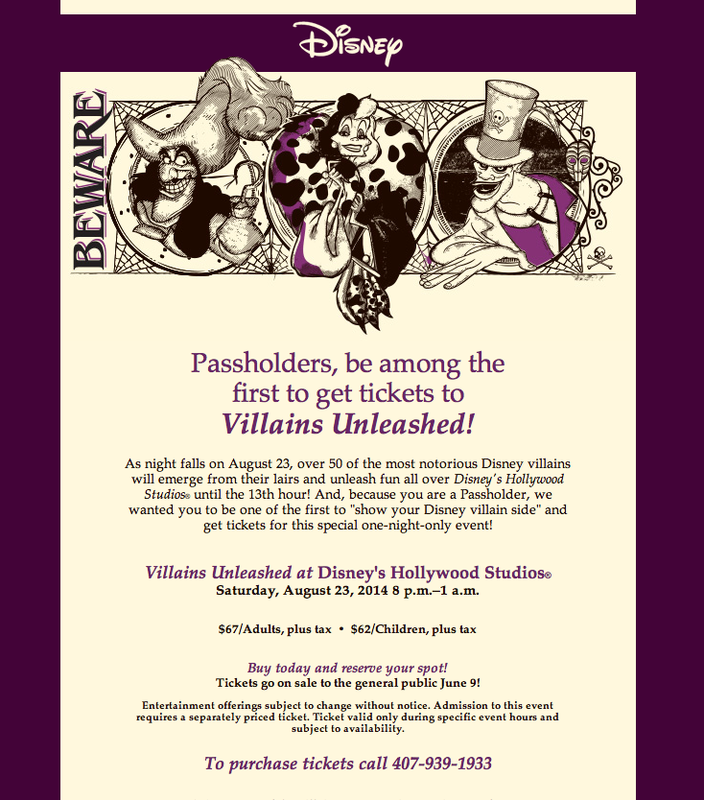 And, because you are a Passholder, we wanted you to be one of the first to "show your Disney villain side" and get tickets for this special one-night-only event! For one night only, over 50 Disney villains will come together to roam the streets of Disney's Hollywood Studios®, put on scary fun performances, and party until the 13th hour. The villains will unleash their powers into the night sky for a special themed fireworks display. Don't forget to pick up your limited-edition Glow with the Show Ears to complete the experience. Guests can oogie-boogie down to Theatre of the Stars to see Mr. Oogie Boogie host a special variety show crawling with entertainment. Rub shoulders with the ruler of the Underworld and dance the night away with his party crew—DJ Igg Nite, the Underworld Dancers and more. Guests can unleash their dark side in a special zone filled with some of the most feared villains in the Galactic Empire. "Show your Disney villain side" and get your face painted to look just like one of your favorite Disney villains! Enjoy mischievous treats and remember the night of villainy for years to come with villain-themed merchandise (not included with price of ticket). Up to 10 Disney's Hollywood Studios® attractions will be running until 1 a.m. Beware the villains who may be lurking around some of your favorite attractions." ^Got mine too, should be fun! Hope they do put a reasonable limit on the ticket sales like the other parties. From the studio that brought you “The Avengers” comes a new team. They call themselves the Guardians of the Galaxy, and they’re the crew at the epicenter of one of this summer’s biggest movie events. Starting July 4, “Guardians of the Galaxy” is coming to Disney Parks with an exclusive sneak peek, offering guests an extended look at the film before it opens in theaters. At Disneyland park in California, you can catch this limited time intergalactic preview in 3D with special in-theater effects at the Magic Eye Theater in Tomorrowland, where Captain EO is typically shown. Captain EO is expected to return at a later date. 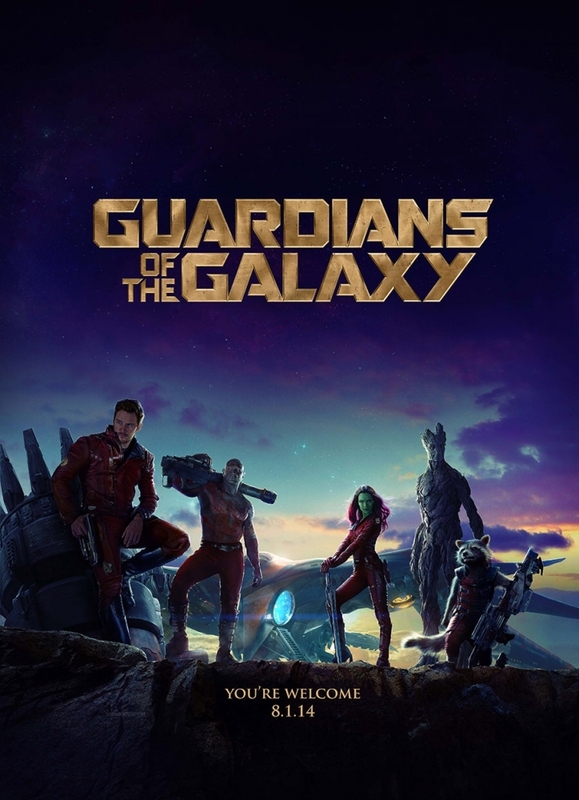 For those of you visiting Walt Disney World Resort in Florida, you’ll be able to experience the cosmic adventure of “Guardians of the Galaxy” at the ABC Sound Studio at Disney’s Hollywood Studios presented in spectacular RealD 3D, a new dimension of entertainment.